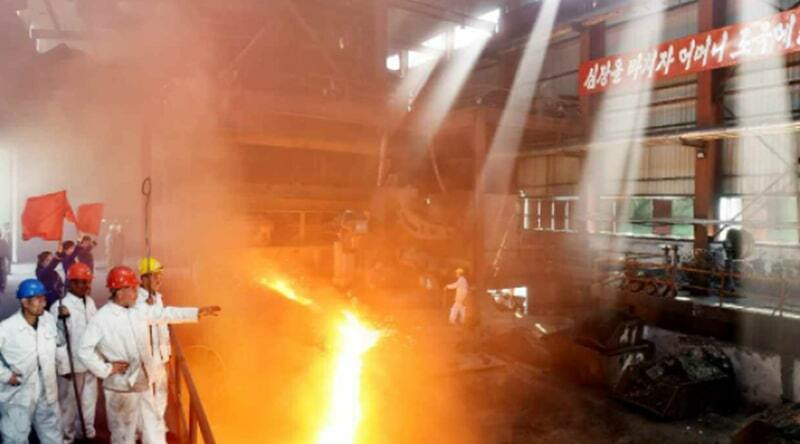 The head of engineering at Songjin Steel Complex in Kimchaek, North Hamgyong Province, has been stripped of his position and sent with his family to another region of the province after being accused of allowing the prestigious enterprise to fail to meet state-set production goals. “The head of the Engineering Development Department for Songjin Steel Complex, a Mr. Kim in his 50s, was removed from his position by the enterprise’s provincial Workers’ Party of Korea (WPK) Committee. He is now working as a laborer in the Musan Mine,” said a North Hamgyong Province-based source on November 6. Kim graduated from Kimchaek University of Technology before working in North Korea’s biggest steelworks, the Kimchaek Iron & Steelworks, as a field engineer in the development production team during the widespread famine of the 1990s. He was a highly-regarded engineer who had even received state honors for several successful projects, reported the source. Ultimately, however, Kim did not have the connections needed to avoid being completely blamed for the enterprise failing to meet its quotas and was expelled with his family. “The head manager of the Songjin Steel Complex had, at one point, met directly with the Supreme Leader (Kim Jong Un), which made it difficult for the Party Committee to take action against him. Lower-level managers were deemed by the committee to have had “no direction connection with the management of production,” a separate source in North Hamgyong Province reported. Moreover, he said, the head of the Engineering Department, one of the enterprise’s executive management officers, avoided blame because he had also met with the Supreme Leader. The head of the Production Department also avoided blame because his son had graduated from the Chakwangsoo Military Aviation Academy and is currently a fighter pilot in the North Korean Air Force’s Kaechon 1st Division. “Kim’s friends and colleagues in the enterprise have expressed frustration that such a talented engineer has been pushed out unfairly,” he said. The reason for Songjin Steel Complex being unable to meet its state-set quotas is likely due to recent interruptions in the operation of the Musan Mine arising from international sanctions. Musan Mine, which has major deposits of iron ore, has long supplied raw materials to steel producers, including Songjin Steel Complex. The enterprise is tasked with producing steel wire and pig iron using the ore from the mine and supplying the products to the domestic machinery and military sectors or selling them to Chinese companies to earn foreign currency. 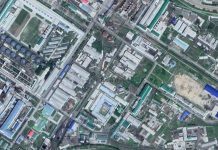 Songjin Steel Complex’s productivity has very likely been interrupted by the shutdown of Musan Mine, suggesting that the North Korean authorities may have sought to shift the blame to one of Songjin Enterprise’s high-level managers for failing to meet state-set production quotas. 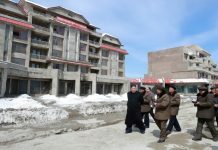 Daily NK previously reported through a number of North Korean sources that Musan Mine is not operating normally, causing severe difficulties for local Musan residents who rely on the mine for their livelihoods.